Look away baldies and everyone having a bad hair day! 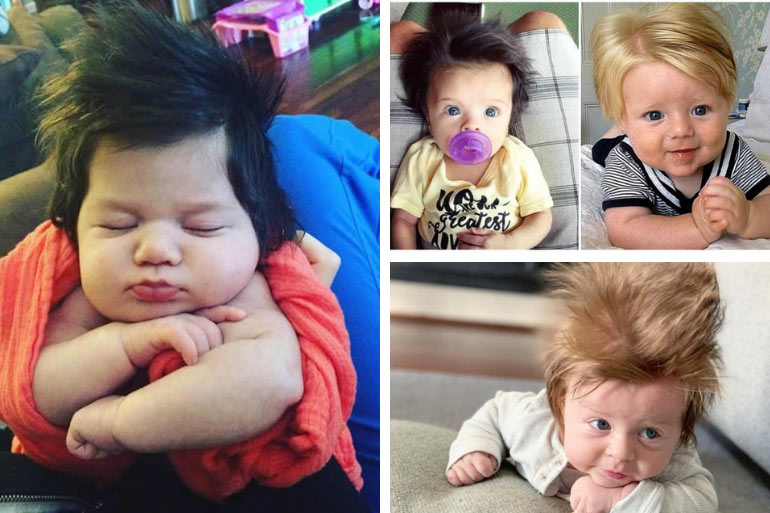 These babies with wild hair are guaranteed to put your mane to shame. 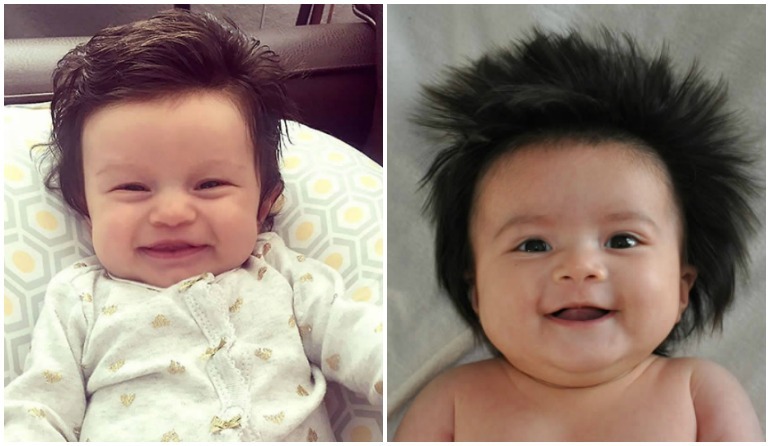 Aussie baby Boston is the latest tot to grace the world with a full head of awesome hair. It’s no wonder everyone’s talking about it. Some babies are super bald (like all of mine for starters). And others, well let’s just say they could give Rapunzel or Fabio a run for their money. Let’s look at some of the other bubs around the globe who’ve also been blessed with terrific tresses. Read on for an adorable giggle or a little bit of lock-lust. Here’s Mum Central’s carefully combed “Offical List” of top 11 babes with hair that #won-the-web. This little dude is Boston. 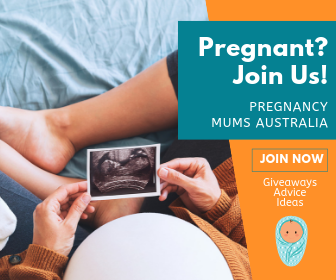 He’s the second child of Perth based mum Tara Simich – who is also the CEO of fitness brand, The Jungle Body. 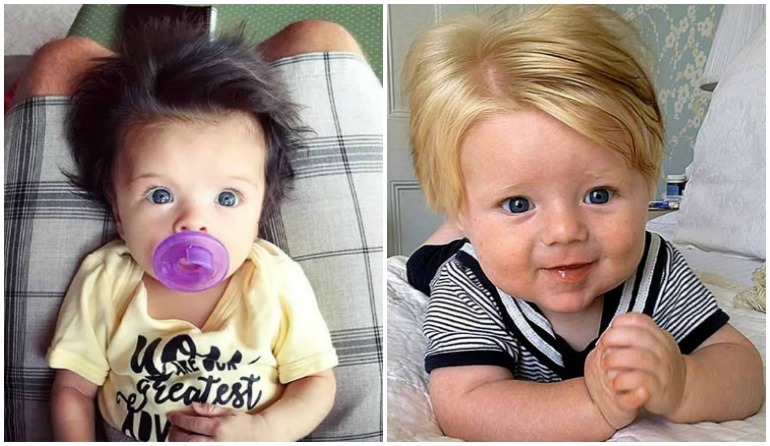 While his older brother Jagger had a relatively normal amount of hair at birth, Boston arrived ready for a salon commercial. At 16 weeks old now, his amazing ‘do’ is fast getting attention on his mum’s instagram account. And we can see why! Apparently he gets his luscious locks from his dad. And his parents have to use adult shampoo to wash it! There’s no doubt about it, Boston’s hair is totally BOSS. Meet Florence, or as everyone calls her, Ren. And she’s not wearing a wig people! This raven haired cutie is from Bondi, Sydney. And she’s already getting into a bit of modelling because LOOK AT THAT MANE! None of this having to stick a headband or bow onto a singular wispy strand so people know she’s a girl. The girl with the curls quite possibly had a hairbrush with her in the womb. His family nicknamed him Baby Bear, but we think they should have gone for lion cub instead! Check out his mane!! The tot from the UK was rocking this insane hairdo at only eight weeks old. And like Boston, his two older brothers didn’t inherit his hairiness either, just him. Now he’s a bit older his hair isn’t as wild but apparently it’s still super thick. That’s one cute troll doll! That’s the comment one Reddit user wrote about this picture a dad posted of his kid. “As a bald man, I’m very proud of my 2 month old’s hair,” the chuffed father wrote in his post. No clue as to the name or gender of the child, but we LOVE their hair! And so did all the Reddit goers apparently. By far the most popular of the bunch, little lady called Chanco from Japan has almost 400K followers on her instagram account. (or hair diary as her mum calls it). Her fabulous mop was absolutely incredible as a baby. And now she’s getting older, it’s still out of this world! Yep, she’s the girl who can create her own giant Minnie Mouse bow using HER OWN HAIR. You don’t always know who they are – or where they come from when it comes to Pinterest. But what we do know is these kids are little-bitty people packing big, big hair. Baby Coral (left) was featured in Hollywood Gossip Magazine. Blonde (right) Frederick Ryan was in Evoke. Baby Izzy (left) is just two months old! The adorable bub (right) was featured unnamed on Odee. Talk about jealous! I can’t even do a decent ponytail these days! 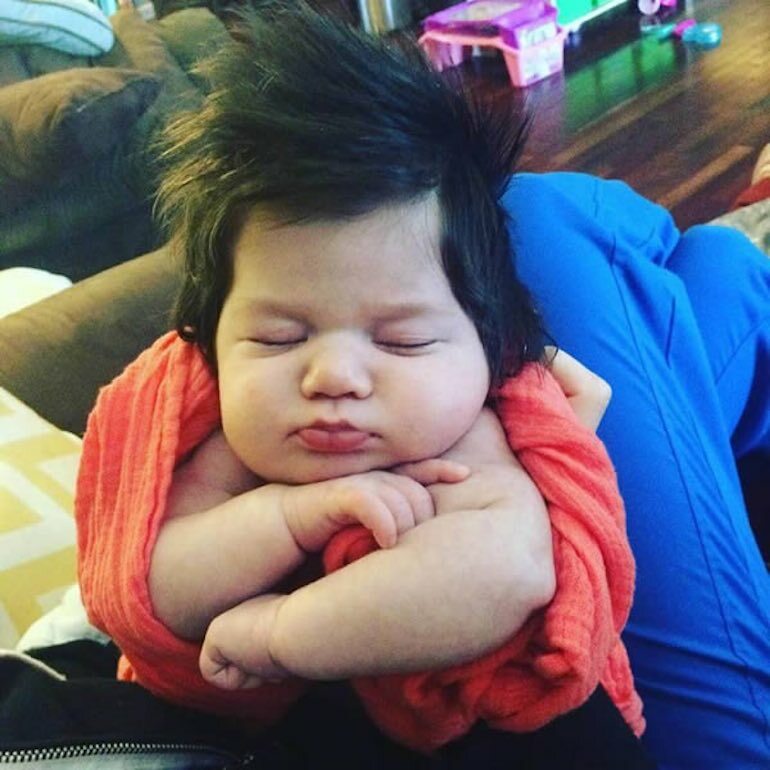 Think your bub can rival these babies with wild hair? 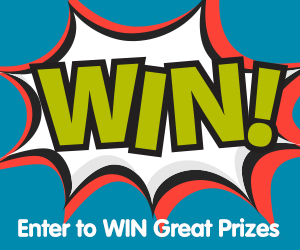 Send us the pics on Facebook! If you’re thinking about the future for these tots or your own grown up little kidlets, here’s a stack of sweet and sassy hair ideas that even mums who #canthair #can do.